The Egged bus company bolsters bus service following as Haifa-Tel Aviv train line temporarily shut down. 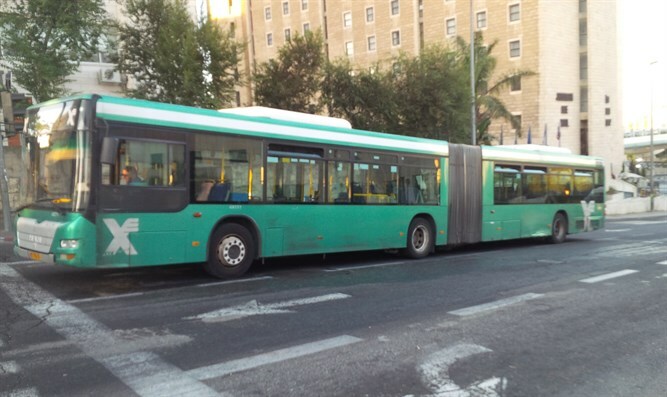 The Egged bus company announced that, due to the temporary halt in train service from Haifa to Tel Aviv due to infrastructure work, the company will bolster that traffic route with 130 additional buses, in order to meet the increased demand from would-be train passengers. The company also said that they have set up supervisors and cashiers to ensure efficient service for new soldiers and civilian customers. The new Egged buses come in addition to buses which the railway has added for soldiers as a temporary substitute for the train. Despite acting as substitute lines, however, a representative of Israel Railways said that shuttles from the train stations to the soldiers’ destinations are not being provided. Relevant sources are ready this morning for the expected increases in road traffic due to the decreased train service. According to various reports, many roads are blocked by traffic.